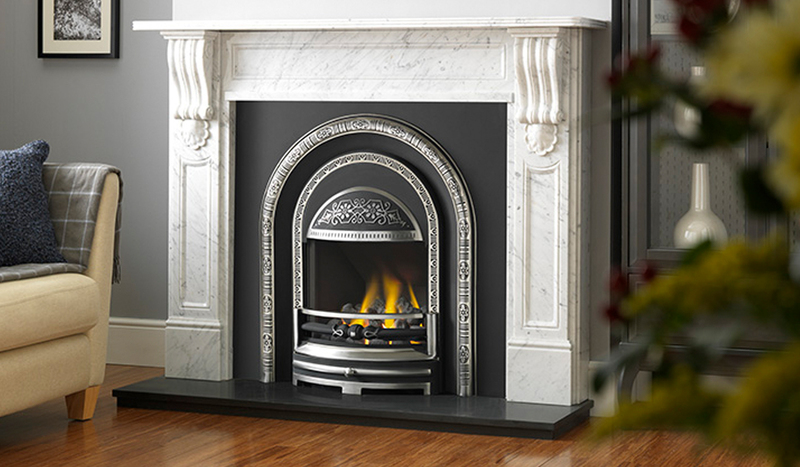 The Ashbourne integra looks majestic with its highlight polished finish showing the intricate design work on the casting. It is also available in matt black or an antique finish. 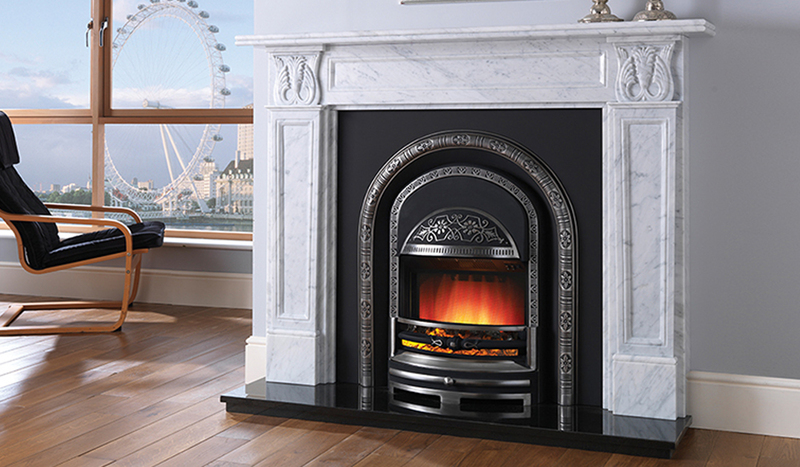 Suitable for gas, electric or solid fuel fires. 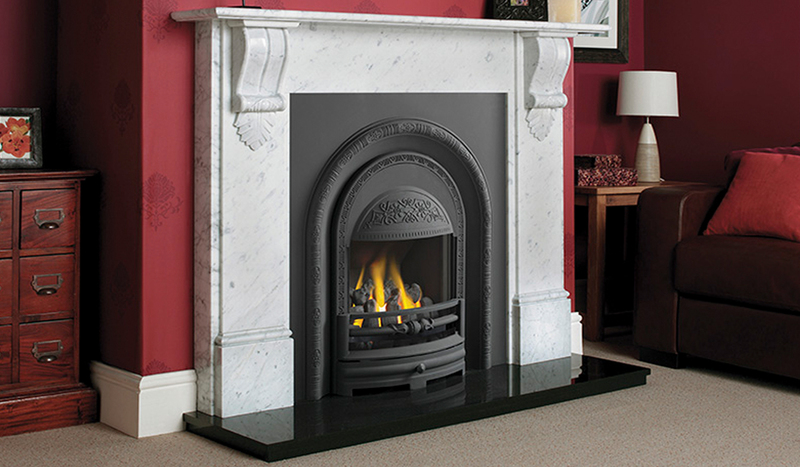 The cast is pictured in the Corinthian mantel in Carrara Italian pure marble.